KEEN (makers of kickass footwear and other outdoor goodies) has just released a new collection of hybrid daypacks that aim to work just as well out on the trail as they do as your go-to carry-on bag. Among them, the ultralight 22L Aliso Daypack is both hydration reservoir and laptop compatible. Other features include wishbone yoke straps to evenly distribute load across the shoulders for added comfort, a weatherproof front, angled organizer, large side water bottle/gear pocket, three internal organizer pockets, dedicated iPad/tablet sleeve, clever use of recycled fabrics all around, and the list goes on. 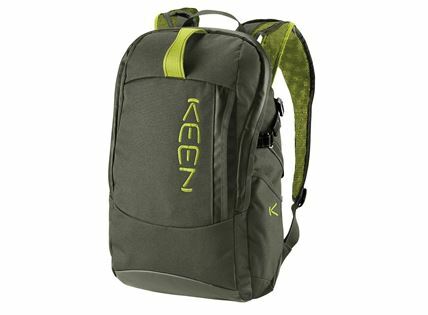 Available now in three color variations for $80 (USD) directly from Keen.